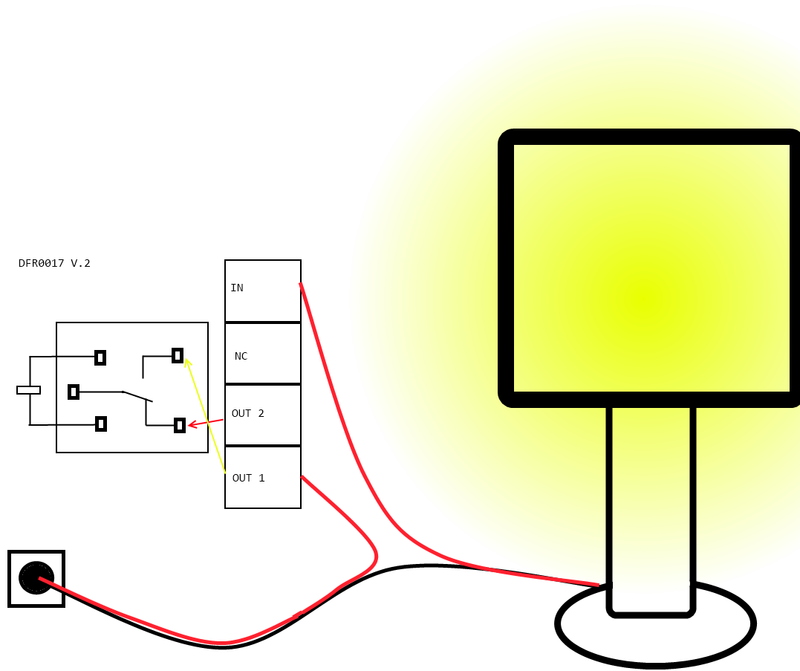 In this tutorial we will show you how to use the DFR0017 V2 Relay. 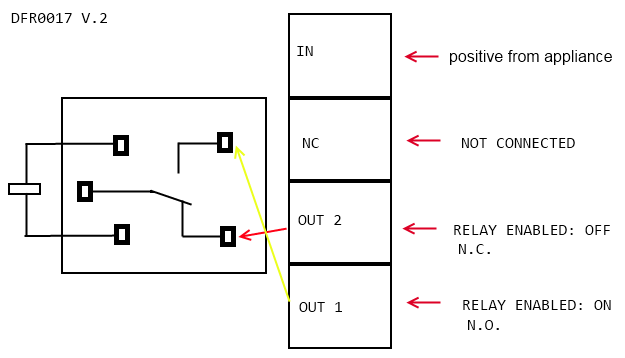 The diagrams below should help you understand the layout of the relay board. Out1: Normally open, which means that when the relay is on (a digital high "1" is received from Arduino) the device is ON. So, using Out1 a "1" will turn on the device and a "0" will turn off the device.